The controversial film Padmaavat which was earlier scheduled to be released on 1st of December 2017 will now release on 25th of January 2018. Due to the huge controversy, the producers of the film Viacom18 and Sanjay Leela Bhansali decided to postpone the release of the movie. Padmaavat has been granted U/A certificate from CBFC. Padmaavat will be released in 2D as well as 3D. Padmaavat was shot in 2D but later it was also converted into 3D to maximize the on-screen experience. 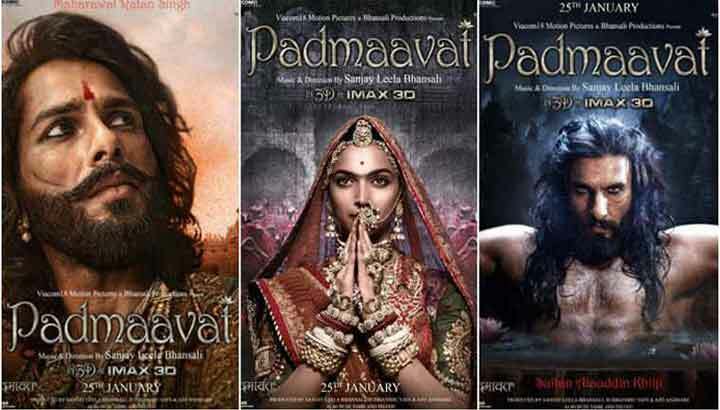 Check our report, prediction, and analysis of Padmaavat box office Collection. By tradition, it has been observed that no film which releases in the first quarter of any year has gone on to do record business. Whether it’s Dhoom 3, PK, Dangal, Sultan, Kick, Dilwale Dulhaniya Le Jayenge or Sholay all these films were not released in the first quarter of the year. It’s time for ‘Padmaavat’ to break this myth and make some box office collection records in the first quarter of the year. It is being speculated that due to the fear associated with the controversy, people will not come to theaters in the initial days of the release which can hugely affect its Box Office Collection. It would not be wrong to say that due to the controversy over the movie, the entire Bollywood film industry has been at a loss. According to the trade experts, this controversy could have been avoided but it was not handled properly which resulted in a loss for producers as well as the other filmmakers. Padmaavat is rocking at international box offices as well. The movie was also released in Australia, UK, and Ireland and the box office collection is absolutely outstanding. Padmaavat box office collection reports say that the first day (Thursday) box office of Padmaavat in Australia was A$ 363,963 which rose to A$ 537,530 and A$ 462,288 on Friday and Saturday, respectively. Padmaavat total box office collection in Australia (till Saturday) was A$ 1,363,791 [₹ 7.04 cr]. The film was surrounded by controversy initially because Rajput Karni Sena had said that history has been distorted in this film, so we will not allow the film to be released. Rajput Karni Sena hate campaign caught up slowly and later an announcement came from BJP that this film will not be allowed to be released in BJP ruled state. It’s a fact that until this time no one had seen the film. The Central Board of Examining Committee saw the movie along with the special panel appointed by CBFC chief Prasoon Joshi. The film was passed with slight modifications. The surprising part is that the CBFC examining committee and the special advisory panel, nobody found a single scene objectionable in the film. Padmaavat gets U/A certificate without any cuts. A disclaimer will go where the filmmaker will announce that they do not endorse the ‘Sati Practice’. Another disclaimer will also go that this film is not based on historical facts. Names of the historic place will either be muted or have to take the names of other places. Some visuals of the ‘Ghoomar Song’ have to be changed in which Deepika Padukone is flashing her stomach and the back. Sanjay Leela Bhansali had agreed to carry out all these modifications because CBFC has not asked to cut a single scene from the movie. There were three members of the special advisory panel formed by CBFC Chief Prasoon Joshi including Arvind Singh, Chandramani Singh and Dr. K K Singh from Jaipur University. Besides the special advisory panel, Prasoon Joshi and the examining committee saw the film. Padmaavat is not a solo release for the Republic Day Weekend as Akshay Kumar’s Padman will also release on 25th of December 2018. The clash of Padmaavat and Padman is surely going to affect the box office collections of both the movies. As per the reports, Padmaavat has got 60% screen occupancy whereas Padman has got 40% screen occupancy in multiplexes. The budget of Padmaavat is really huge as compared to Padman. If you have any suggestions or query related to Box Office Collection, write it down in the comment box.